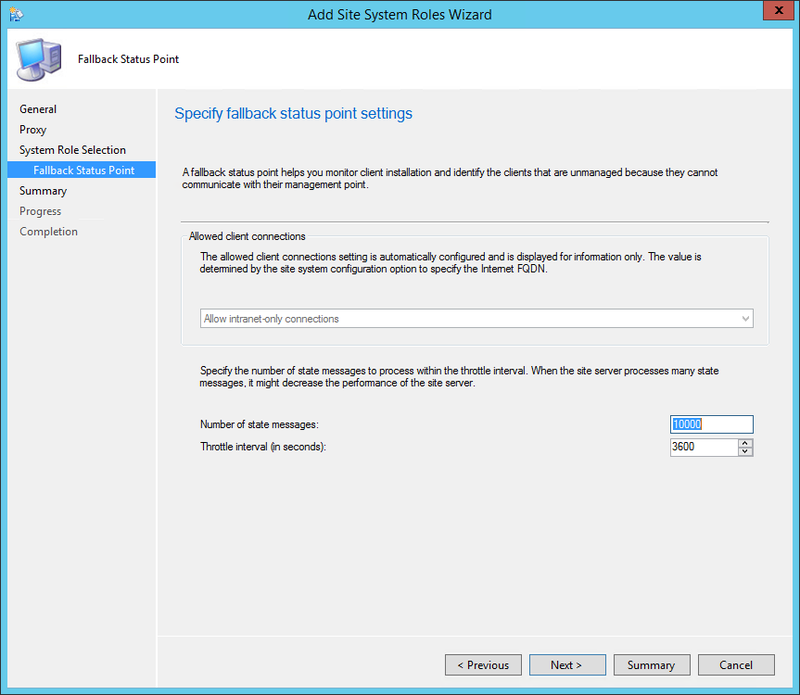 In this part of SCCM 2012 and SCCM 1511 blog series, we will describe how to install SCCM 2012 R2 or SCCM 1511 Fallback Status Point (FSP). The FSP helps monitor client installation and identify unmanaged clients that cannot communicate with their management point. This is not a mandatory Site System but we recommend to install a FSP for better client management and monitoring. This is the Site System that receive State Message related to client installation, client site assignment, and clients unable to communicate with their HTTPS Management Point. 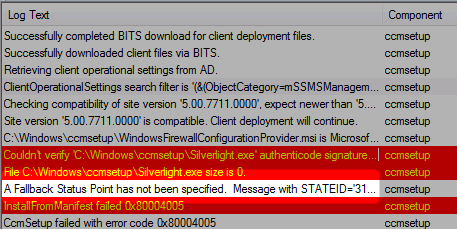 If the FSP is not configured properly you’ll end up having A fallback status point has not been specified errors in your logs. This Site System is a hierarchy-wide option. It’s supported to install this role on a child Primary Site or stand-alone Primary Site but it’s not supported on a Central Administration site nor Secondary Site. You can also check if reports that depend on the FSP are populated with data. See the full list of reports that rely on the FSP here. Better late than never… One of the reasons for the FSP is to allow machines which cannot communicate to their FSP via HTTPS an avenue of fault reporting. Having an Internet enabled FSP would require HTTPS… so that kinda defats the purpose of the object (or vice versa!). Yes you can install it after client installation. 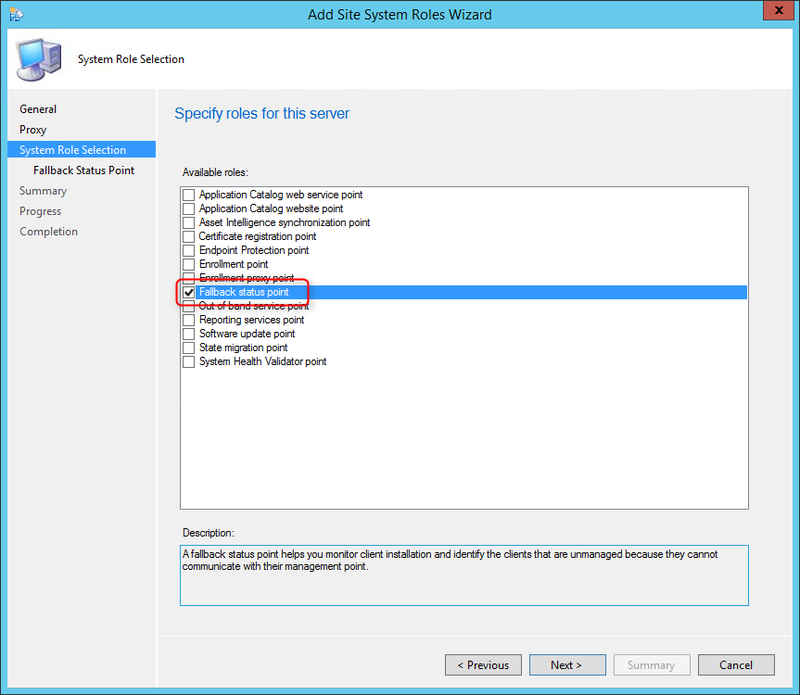 FSP will be automatically assigned if you have just one, the FSP parameter is used to set your client manually to a specific FSP. 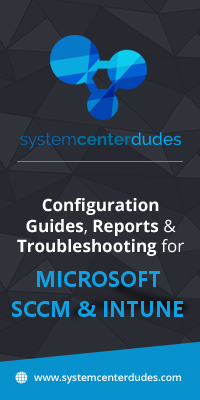 Thank you for your configuration details on Fallback Status Point. 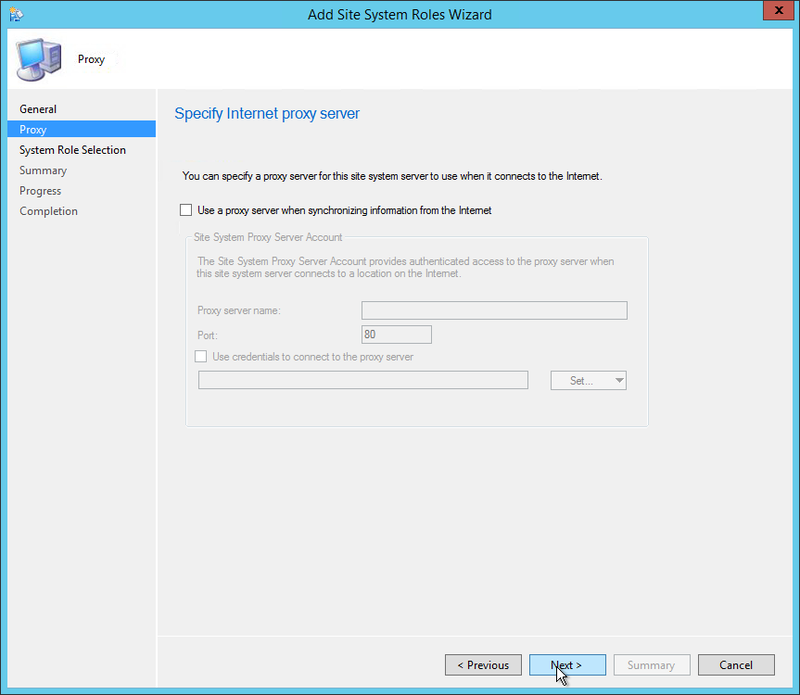 We are running into a problem when configuring the FSP role to support Internet Clients. 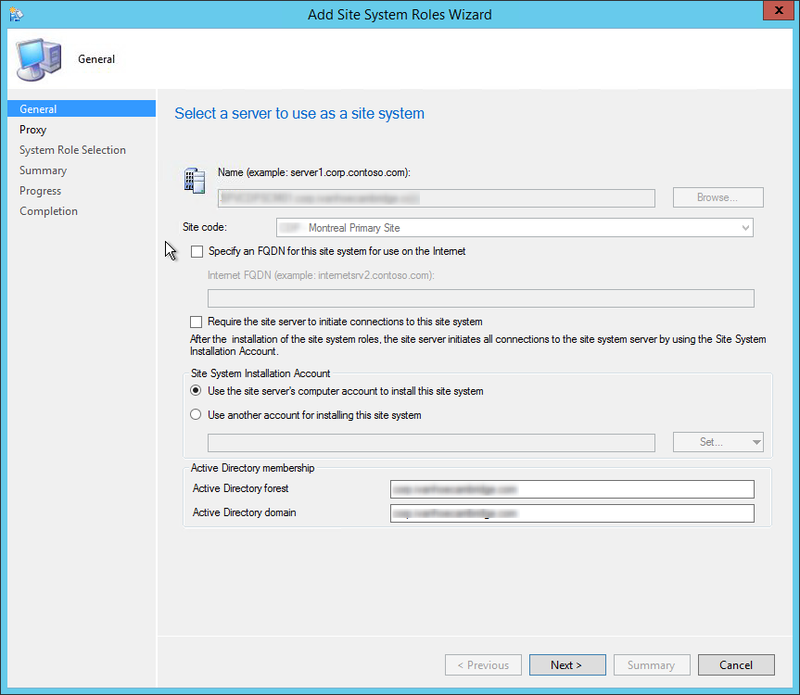 We have SCCM 2012 SP1 in our company and I have installed FSP role on a dedicated server with intranet FQDN first having Intranet only option. 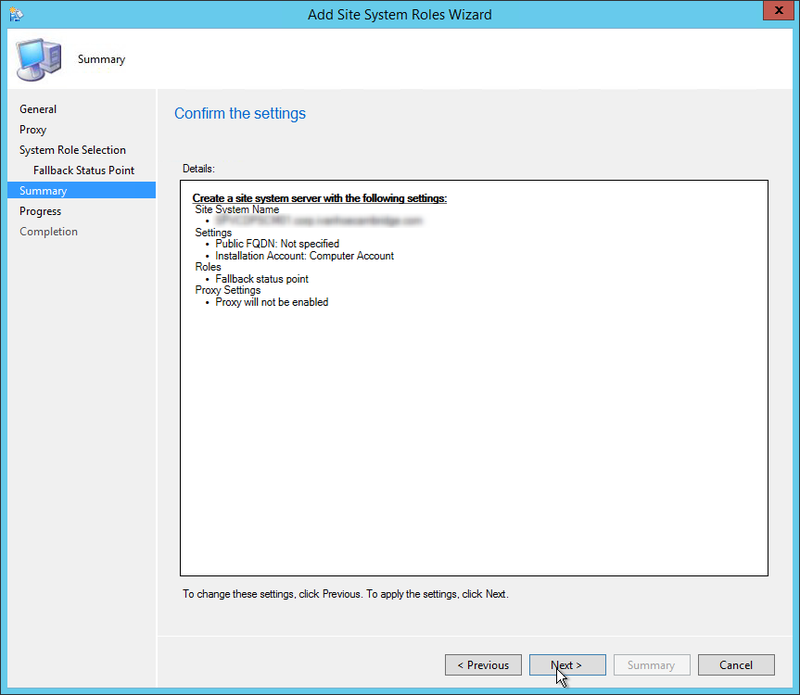 Now when I add the Internet FQDN in Site System properties of this FSP Server, I’m unable to get the option “Allow both intranet and Internet client connections” under Allowed Client Connections. I have already attempted to reinstall the FSP role with Intranet & Internet FQDN together, but still I’m only getting the Intranet Client option. Please suggest or advice which part I’m missing here to configure the FSP for Internet clients as well.